Confection Gwen Stefani & Shakira Registered on BMI in late 2014; Unclear if it's a duet, or if both Gwen and Shakira recorded separate versions of the song. 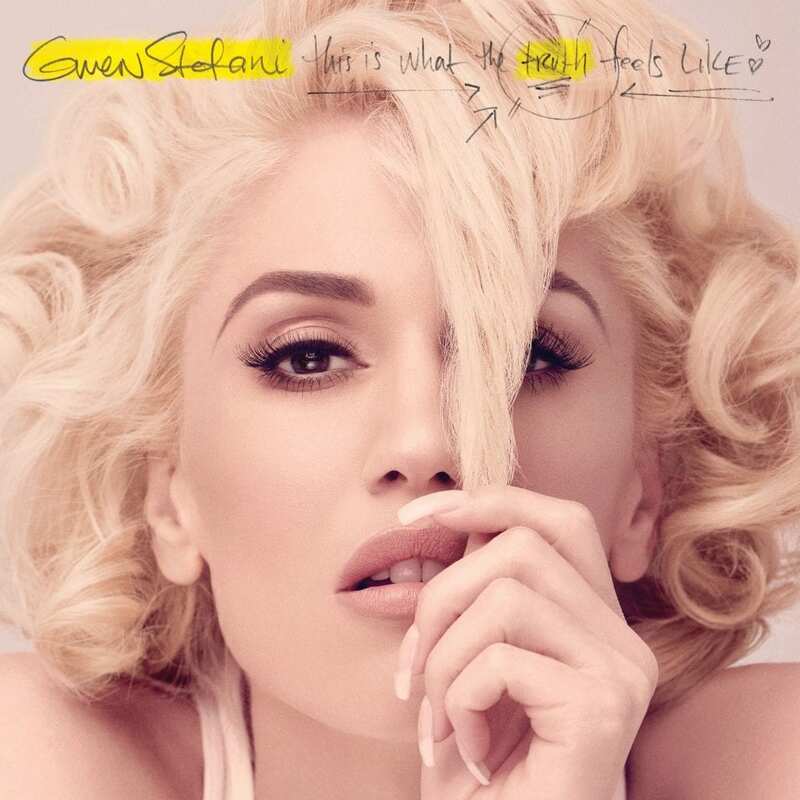 Make Me Like You Gwen Stefani Mentioned in interview, 11/2/15. Mentioned in interview, 11/2/15. Written with "the Breakfast Club" (Justin Tranter, JR Rotem, and Raja Kumari) Released as second single, February 11, 2016. Medicine Man Gwen Stefani Mentioned in interview, 11/2/15. Written with Linda Perry. My Heart Is Open Maroon 5 featuring Gwen Stefani Included on Maroon 5's 2014 album, V. Could reappear on Gwen's on album. Shine No Doubt / Gwen Stefani featuring Pharrell Title revealed in interview with Ryan Seacrest, 10/20/14 Featured in new movie, Paddington, out in January 2015. Hear full song now. Together Calvin Harris featuring Gwen Stefani Included on Calvin Harris' 2014 album, Motion. You Don't Know Me Gwen Stefani Mentioned in interview, 11/2/15. Written to piano with Rick Nowels. What about “Information” “You’re the Boss” and “Boom”? “You’re The Boss” was released in 1998 by the Brian Setzer Orchestra featuring Gwen on vocals.